A highly-advanced tool, the iTero® Element™ Intraoral Scanner allows our skilled team to take incredibly precise dental impressions and accurately plan your treatment for the best possible outcome. Just as important, your comfort is enhanced in several ways. Traditional impressions require messy moulds and the procedure can take up to 20 minutes, which many people find uncomfortable and time-consuming. The innovative iTero® Element™ uses a small handheld applicator to scan your oral structures in as little as 2 and ½ minutes. Digital impressions are convenient and effective for a broad range of cosmetic, general, and restorative treatments, particularly Invisalign®. With a detailed, 3D “map” of your teeth, the iTero® Element™ can generate plans for a series of orthodontic aligner trays that reduce treatment time and enhance your results. Furthermore, this technology can show you a simulated image of how Invisalign® will improve your smile once you’ve completed the® course. We’re proud to offer this state-of-the-art platform at our office so that you can be confident you’re receiving exceptional care. 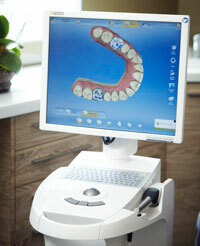 With the KaVo DIAGNOcam, we are able to get a better view of your teeth without the use of X-rays. 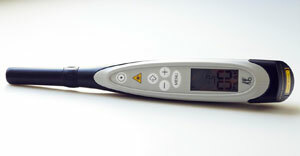 Similar to an intraoral camera, this device is small and can be used to inspect each tooth individually. The KaVo DIAGNOcam offers a detailed view of each tooth’s inner structure by using the teeth as light conductors. The images are instantly transmitted through a digital camera and onto a monitor, so you and your dentist will be able to see if there are any areas of concern. The Paddington Dental Surgery is proud to be the first dental clinic in Australia to utilise this revolutionary technology to painlessly investigate teeth for imperfections! No one likes cavities, but being poked and prodded by sharp tools in order to detect decay is not ideal either. With DIAGNOdent, our dentists are able to detect cavities in their earliest stages before much damage has been done, often allowing you to preserve the majority of your natural tooth with minimal restorations needed. The best part? 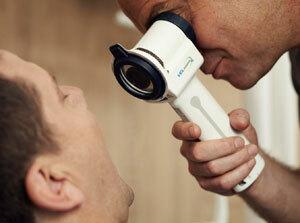 DIAGNOdent uses a laser to detect tooth decay, making it a quick and painless procedure. Aside from being a comfortable alternative to metal tools, this innovative piece of equipment is also significantly more accurate for early detection. We must stress the importance of regular oral cancer screenings, regardless of whether you use tobacco products. Undergoing an oral cancer screening is quick, easy and could possibly save your life. With the use of VELscope® Vx technology, we are able to examine the inside of your mouth using a special light that will allow us to detect any suspicious tissue at the earliest possible stage. As with any cancer, early detection is key to survival. 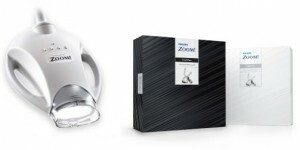 Philips Zoom!® WhiteSpeed is a teeth whitening treatment offered at our office. This professional whitening method uses a revolutionary light that activates a special whitening gel. The Zoom!® Light helps us to effectively remove stains and give your teeth a beautiful, whiter shade. Learn more about our Zoom!® teeth whitening treatments. A major advancement in dentistry, digital X-rays allow us to provide better care in less time and with greater comfort than ever before. Digital X-rays emit 80-90 percent less radiation than a traditional X-ray, so they offer a safer experience for both you and our skilled team. 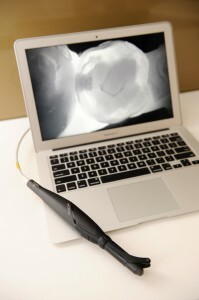 The images take mere seconds to develop, and they can be enlarged and viewed in superior detail on a computer right in the treatment room. This means our dental team can often identify concerns in the earliest stages, develop a highly accurate plan to address these issues, and provide more effective and comfortable treatment. Furthermore, no hazardous chemicals are used in the process of taking a digital X-ray, which is better for you and the environment. An intraoral camera is a small tool that we use to show you what we are looking at inside your mouth. The camera is able to take high-quality photos of your teeth and gums, which will then be magnified and displayed on a computer monitor for you to see. Our dentists will be able to use the image to see your teeth in greater detail, making it easier to identify potential issues. The photos will also help us to explain our diagnosis, our treatment and give you a greater understanding of any problem areas. By use of The Wand computer-controlled anaesthetic delivery, the DentalVibe®, the Oraqix® needle free numbing treatment, we are able to offer pain-free dentistry services. Learn more about pain-free dentistry. For patients with busy schedules, CEREC® is a great way to obtain custom-made ceramic restorations, such as dental crowns, inlays and onlays in just one visit. First, a 3D image of your tooth is taken, then a ceramic restoration is created for you right away in our office – no need to wait weeks or months for it to be created in an off-site lab. We will assure that it fits comfortably and looks as natural as possible. The restoration will be color-matched to your surrounding teeth, polished and attached to the affected tooth. CEREC® same-day milling technology is known for its accuracy, precision and extraordinary convenience for patients. Do you ever wonder what your teeth could look like with dental veneers or other cosmetic procedures? Not knowing what they will actually look like can make it difficult to commit to such a change in appearance, which is why we offer Smile Imaging. In order to give you the most accurate prediction possible, we will take a digital photograph of you, then use our computer software to show you what you could look like after cosmetic procedures such as teeth whitening, porcelain dental veneers, or Invisalign®. This will give you the opportunity to give us feedback on anything that you don’t like prior to the procedure. It also means that any necessary adjustments can be made for results that meet your goals. While no technology can claim to predict the future with 100 percent accuracy, smile imaging can give you a much clearer idea of the potential results. In order to remove excess gum tissue and treat early stages of gum disease, we often use a Diode laser. Laser dentistry reduces bleeding or risk of infection and there is typically little to no pain during treatment. Gum recontouring may be needed if excess gum tissue is giving you a ‘gummy smile’ and the Diode laser can accomplish this without surgical gum removal. The laser eliminates the need for stitches and best of all, recovery time is typically much shorter. 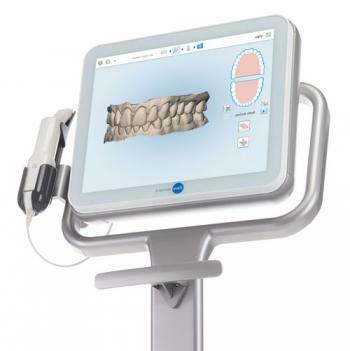 The T-Scan is a device used to accurately evaluate the force of your bite in certain areas, so that we can work together to protect excess trauma to your teeth and gums. 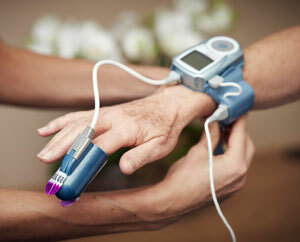 The T-Scan provides us with a digital readout of your bite, allowing us to see the amount of pressure in all areas. The detailed digital image helps us to identify problem areas and predict any future potential damage. With the accuracy offered by the T-Scan, we can make necessary adjustments and recommend treatment options to help protect your teeth before damage occurs. ExcelDent is an all-encompassing computer program that we use for anything from scheduling visits to patient information. In your digital patient file, we are able to store data all in one place including your appointment schedule, personal information, medical history, allergies, digital X-rays, 3D images and billing history. With this computer program, your patient file is readily available and more detailed than a paper chart. ExcelDent helps us maintain a green dentistry practice, which ultimately makes us run more efficiently and more environmentally friendly. The WatchPAT 200 is a device you can use at home to help in the detection of sleep apnoea, a serious, life-threatening condition which you may not even be aware of. Typically worn on the wrist, the device measures changes in peripheral arterial activity and blood oxygen saturation levels while you sleep. 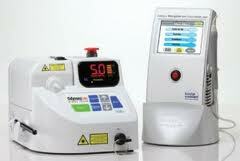 It can also reflect sleep apnoea events in similar ways to equipment used in hospital sleep labs. Once the results are examined by a physician, a diagnosis and treatment plan can be made the same day. The WatchPAT 200 can be a very convenient way to determine if you have sleep apnoea conditions such as snoring and/or breathing pauses that can result in serious risks to your health. We protect our patients by using the highest sterilisation systems possible. The Melag Premium-Plus-Class sterilisers are recognised throughout the world as the best in biological sterilisation and for setting the benchmark for safe dental care. 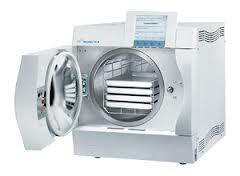 Learn more about our sterilisation standards. Using air abrasion technology, the Kavo RONDOflex Plus offers a drill-less way of removing bacteria and decay – without needles or the sounds and sensations of dental drills. The KaVo PROPHYflex 3 hand-piece is more effective and gentler to your teeth than cleaning paste, giving you a healthy brighter smile. Designed to expedite the orthodontic process, AcceleDent® Aura is a handheld device that uses SoftPulse™ Technology to help gently move teeth into the desired position. AcceleDent® Aura is used in conjunction with Invisalign® to straighten teeth, reducing treatment time by as much as 50 per cent. To use, place the appliance in your mouth over the aligner trays and bite down to switch on. Soft vibrations will help stimulate the gradual movement of your oral structures in just 20 minutes per day. Achieve your goals faster and with greater comfort with AcceleDent® Aura. For more information on our dentists, technologies and procedures, please contact us today.